2. Process (Programs, Tools, Skills, FOCUS principles):first I drew out a plan for the brochure on paper. 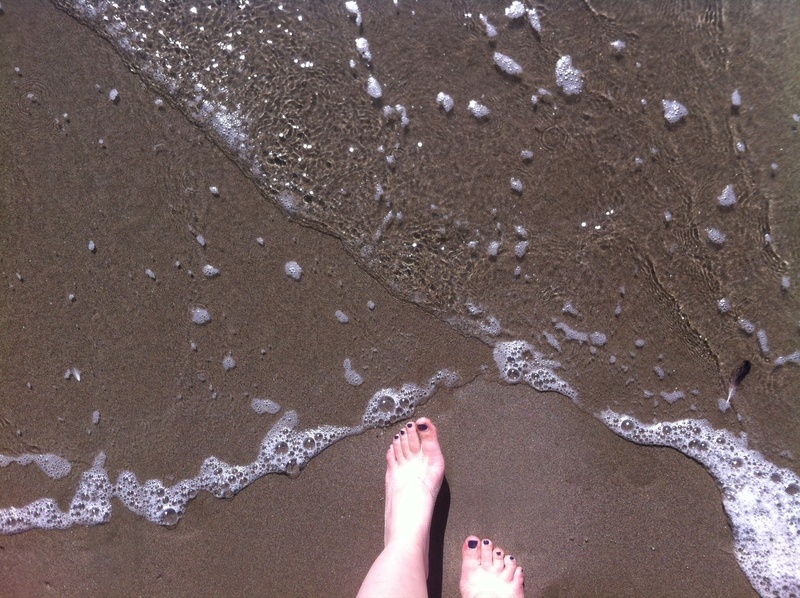 Then I found the pictures I wanted to use on both unspash and pictures I have taken on my own. Then I created the brochure document with 3 columns in indesign. Then I placed the text on the inside panels using the noteworthy font in both light and bold. Then I placed the pictures in photoshop documents the size of each panel and then place them in indesign behind the text. Then I found a font for the front cover and placed it on the front panel. Then I placed the pictures and the rest of the text on the other panels. 3. Message: A company meant for people who either live on the beach or want to dress like they live at the beach. 5. Top Thing Learned: Brochures are meant to get information across not necessarily take away from the company. 2. Process (Programs, Tools, Skills, FOCUS principles):I used photoshop for this project. First I selected an image of a beach that was relatively plain to use as the background. I then took the opacity down to 30%. Then after that I created another text layer and put the word Cali in it. I then changed the font color to contrast the blue background. Then I changed the font to look more like cursive handwriting. 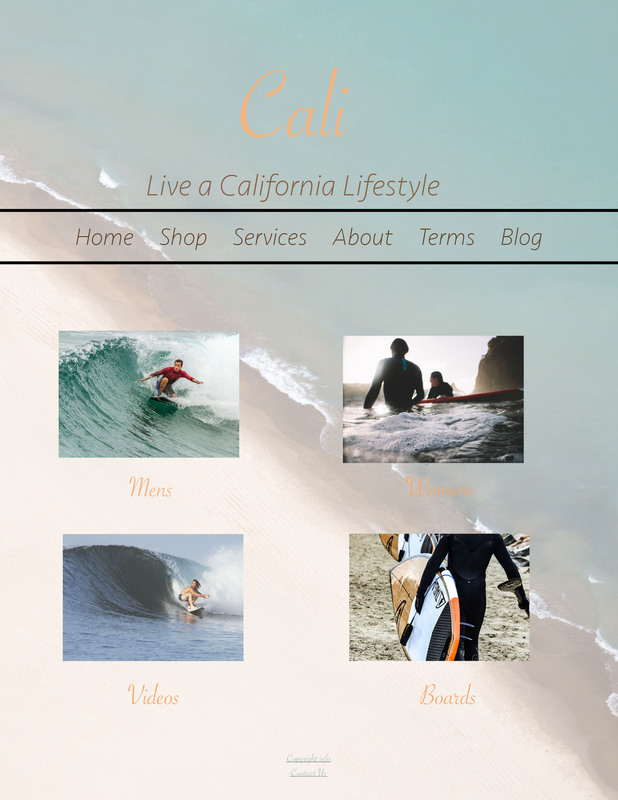 After that I added another text layer with the words “live a California lifestyle” and changed the color to be darker than the headline and changed the font to be more readable and closer to a modern font. Then I chose 4 pictures to use for the sections. I then sized them to the same size and place then equidistant apart. I then created 4 more text layers with the words “mens” “womens” “childrens” and “videos” and made the font and color match the tagline. then finally at the bottom I put the words “copyright info” and “Contact Info” and made them the same font as the tagline and made them blue to contrast the orange like background.